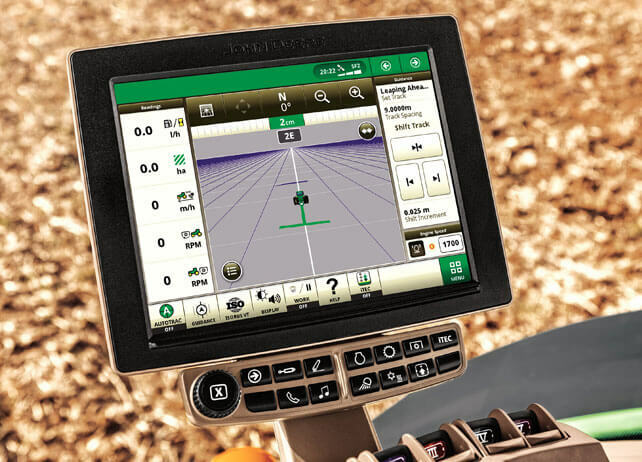 Activation lets you control machine function and precision ag applications from one display in the cab. Redesigned, easy-to-use interface features shortcut bar for entering and reviewing information quickly. With JDLink Connect, data is automatically sent to John Deere Operations Center.